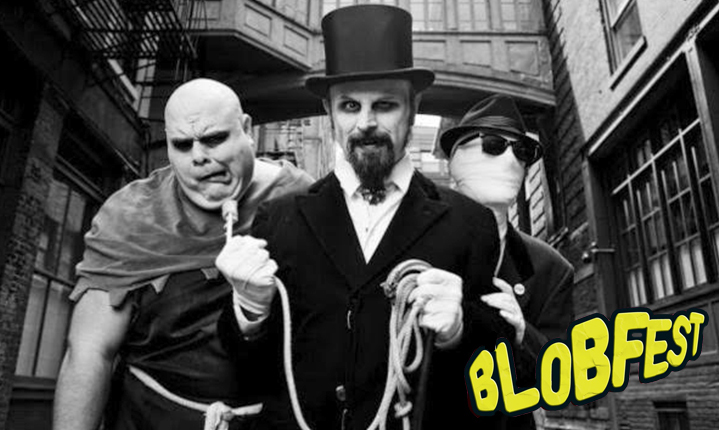 Home » Things To Do In Phoenixville » Blobfest is This Weekend! Posted On 8 Jul, 2015 - By Sam - With Comments Off on Blobfest is This Weekend! Although tickets for the Run Out on Friday night are already sold out, we encourage fans to gather just across the street from the Colonial Theatre to witness this wonderful and fun tradition which will happen around 9:00 PM. For those who have tickets, doors will open at 7:00 PM on Friday night. Blobfest will continue on Saturday, July 11th starting at 11:00 AM where there will be a street fair with live music from Dibbs Preston and the Detonators. At noon the Fire Extinguisher Parade will be held in tribute to the firefighting equipment that saved the entire world from the Blob. Everyone is invited to join in on the parade. There will be more music throughout the afternoon as well as a costume contest with cash prizes that will take place on the street fair stage at 1:00 PM. 1- The Ultimate Abbott andn Costello Tribute Act at 11:45 AM, 1:30 PM, and 3:00 PM. Sunday will include a Q&A with Ricou Browning at 1:30 PM, a screening of The Blob, and a showing of The Ghastly Love of Johnny X (2012). The writer and director of Johnny X, Paul Bunnell, will be present on Sunday to talk about the film after the screening. For more Blobfest information, or get get your tickets, simply click here or call 610-917-1228.